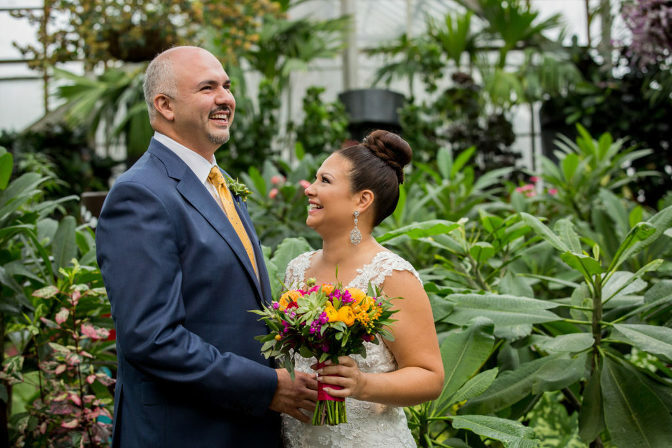 After ten years of marriage, Patricia and Fidencio celebrated their vow renewal surrounded by loving family and an abundance of fun! 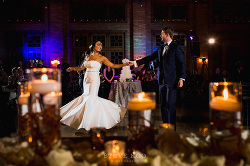 Originally married at City Hall, they fulfilled their desire of having a Catholic ceremony which took place at St. Francis of Assisi. 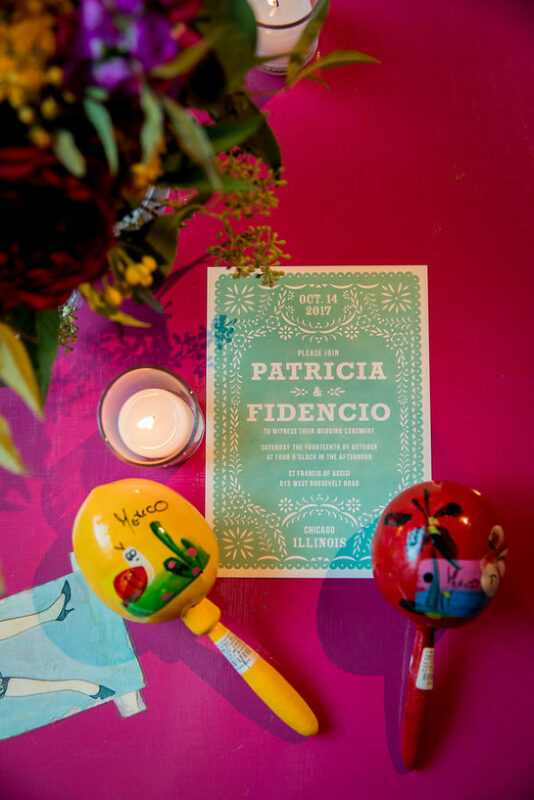 Patricia and Fidencio enlisted the help of Naturally Yours Events to bring an elegant flair to their fiesta-inspired wedding at Catalyst Ranch. The cocktail style reception with their favorite Mexican dishes, bright florals and personal family touches created the perfect party atmosphere. See all the colorful details Cage and Aquarium beautifully captured from their day below. 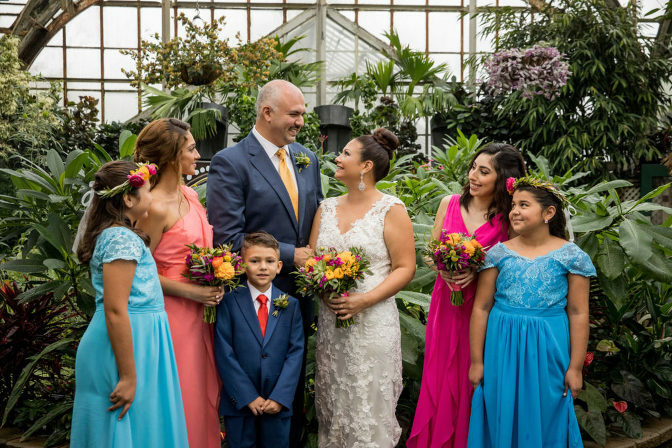 It was important that Patricia and Fidencio’s children were an integral part of their wedding so they all served as bridesmaids, flower girls and ring bearer. During the ceremony, Patricia surprised her husband with a special performance by a Mariachi band! The space at Catalyst Ranch fit the cocktail, fiesta theme with the venue’s eclectic furniture and bright color palette. It complimented the beautiful florals provided by Flowers By Stem and custom papel picados hanging from the ceiling. Guests were greeted with margarita push pops and tasty cups of ensalada de fruta con chile – yum! Salud to another 10 years Patricia and Fidencio! 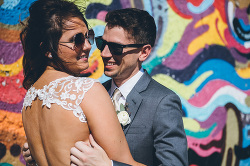 We had so much fun celebrating with you. Thank you to all the vendors involved!